When designing a new collection I begin by immersing myself in the chosen subject matter. Once I have a good representation of the essence of the idea, I begin the making process. I use two different jewellery making techniques in my handmade jewellery collections. 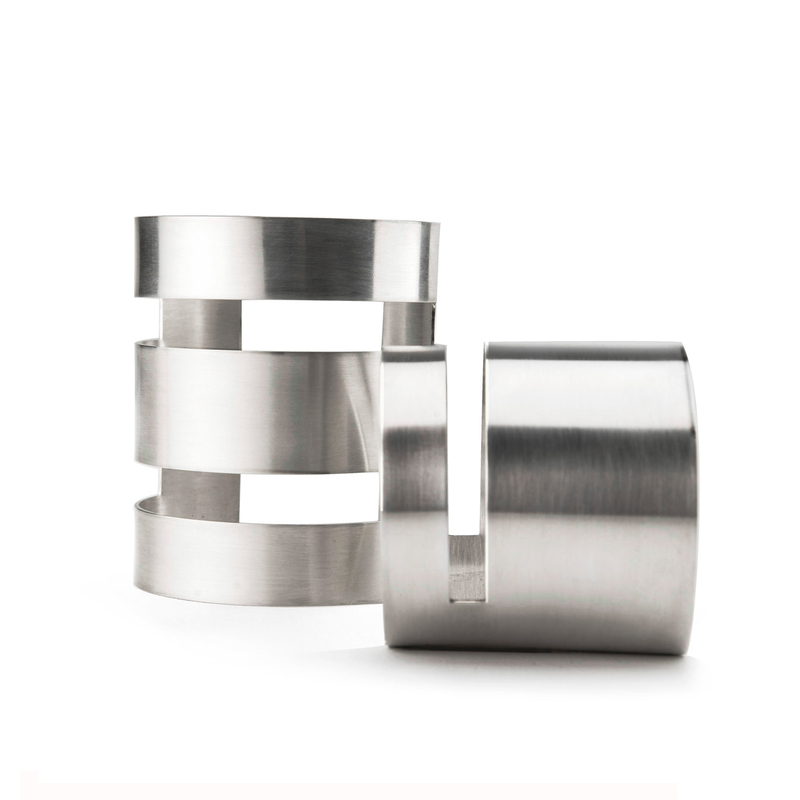 The Linear collection is made using traditional goldsmithing methods. This means that each piece starts out as either silver wire or silver sheet. The silver is then sawn, filed, soldered and manipulated into the desired form. By contrast the pieces from my Plexus and Shard collections are sculpted from wax. 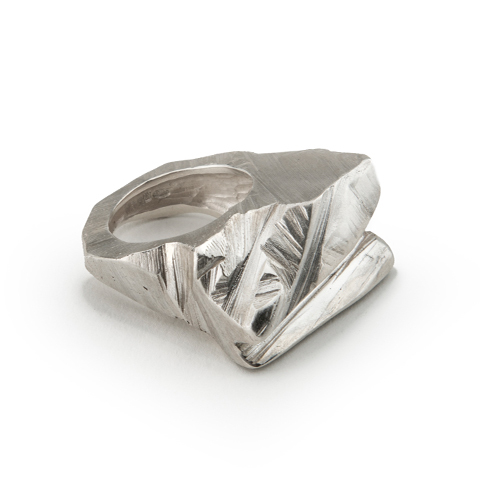 The wax model is then transformed into silver in a process called lost-wax casting. The oldest known examples of lost-wax casting are copper objects such as, tools, weapons and decorative pieces discovered in the Cave of the Treasure in southern Israel. Conservative Carbon 14 estimates date the items to c. 3700 BC, making them more than 5700 years old. 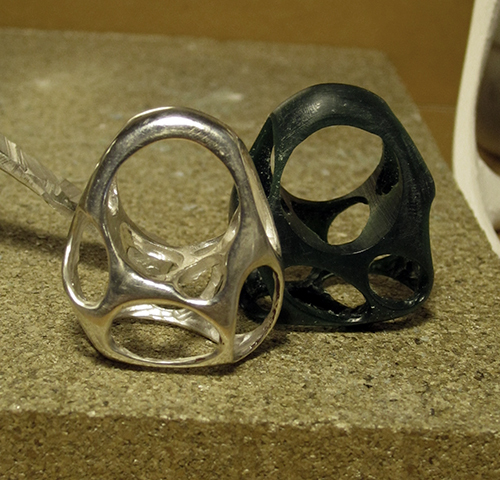 The process entails casting a duplicate metal sculpture from an original model. In my case, I carve my model from wax by hand and the duplicate model is rendered in either silver or gold. Plexus Ring model in wax and Plexus Ring in silver in the process of being finished. Once I have sculpted my wax model, a wax sprue is fitted to it. The piece is then encased in a plaster like substance called ‘investment’ with the small wax sprue leading to the surface of the investment. The wax is then heated and poured out the channel where the sprue had been, leaving the negative cavity in the mould. 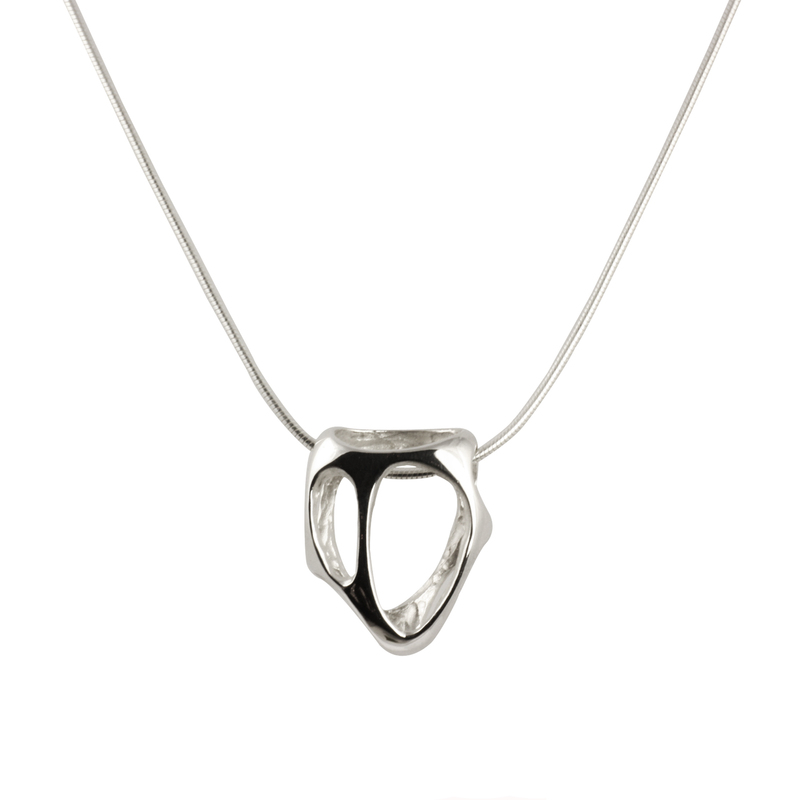 The molten silver is poured in and when it cools, the investment is broken away to reveal the cast silver piece. Once the silver sprue is removed, the piece is cleaned, finished and polished. 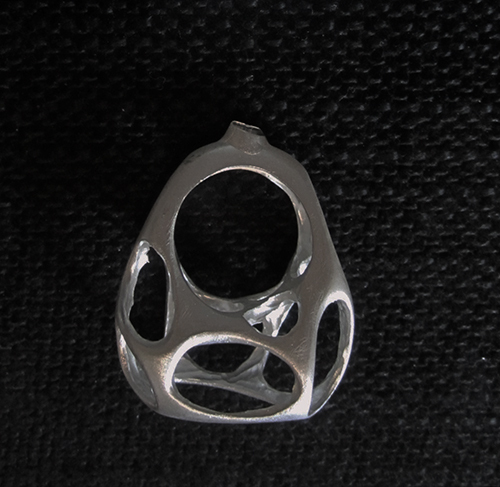 A Plexus Ring after being cast in silver. The piece is still very raw looking with a small piece of sprue still attached at top. 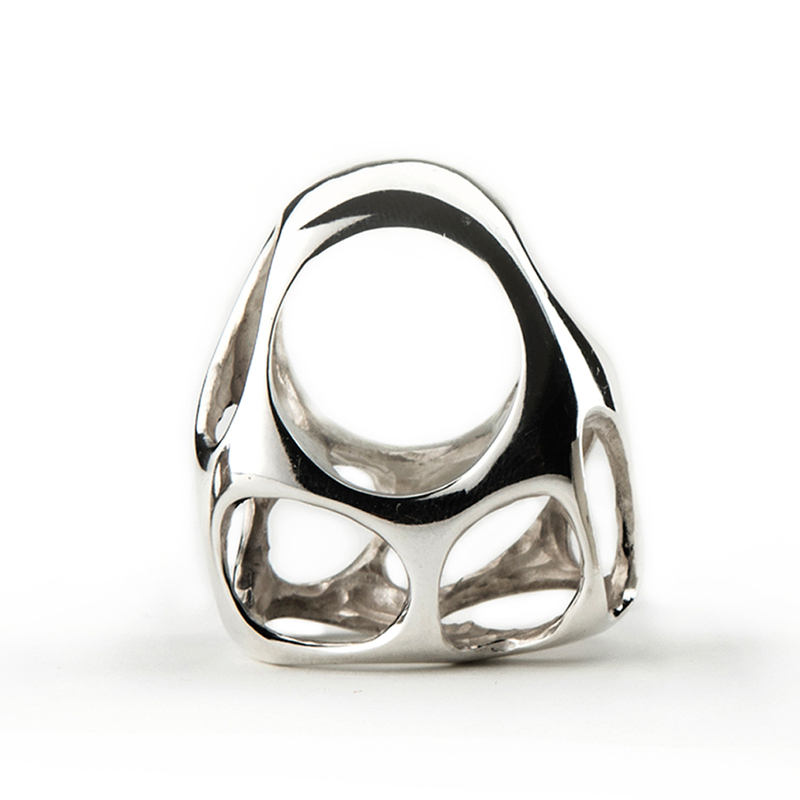 Browse our Shard and Plexus collections to see more pieces that have been hand sculpted and then cast using the lost-wax casting technique. Or check out our Jewellery Making Pinterest board to see more images of this method and other handmade jewellery making techniques.